One out-of-the-shell nut is all it takes to fill in and erase light scratches on your wooden furniture or hardwood floors. Read on to learn how to try this easy trick at home! 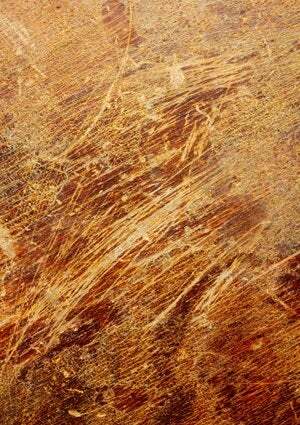 An unsightly scratch in your new hardwood floors—or worse, the expensive mahogany table you splurged on in a recent dining room redesign—can be enough to turn your hair gray. But before you start to stress over normal wear and tear, rest assured that there is an easy and inexpensive trick that can minimize slight damage to your favorite wood surfaces. Moreover, that fix might just be hiding out in your pantry, camouflaged as a favorite afternoon snack. 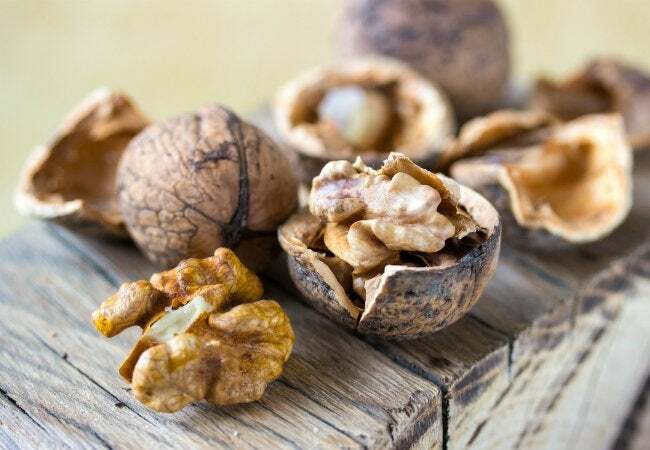 Crack open the shell of a walnut and dig out the meaty portion—one nut should be enough for one scratch, so no need to sacrifice an entire handful. Run the nut back and forth over the scratch a few times in the same direction as the wood grain, then rub your finger over the scratch to warm the wood even further. Let the scratch sit for about five minutes, and finish by buffing it with a soft cloth. The oils from the nut will form a layer over the scratch, filling it in and darkening it so that your furniture will look as good as new. The best part of this simple solution? You get to reward yourself for a job well done with a tasty treat of leftover walnuts.